The road to an equal society starts in the home. Sweden has one of the most generous system of parental leave in the world, enabling fathers to stay at home with their kids. The photo exhibition Swedish Dads by photographer Johan Bävman portraits 25 fathers on parental leave and their views on the role of the modern man. Sweden was the first country in the world to replace maternity leave with parental leave, in 1974. More than 40 years later, fathers take roughly 25 per cent of the total number of days available to the couple. If fathers’ paternity leave continues to increase at the same pace it has kept so far during the 21st century, the use of parental leave will not be gender equal until 2040. 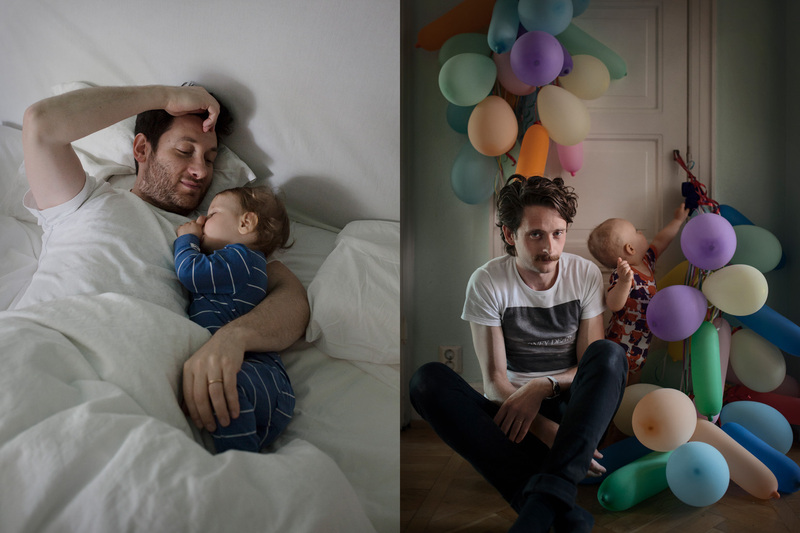 Swedish Dads is a photo exhibition based on portraits of fathers who choose to stay home with their babies for at least six months. Photographer Johan Bävman examines why these fathers have chosen to stay home with their children, what the experience has given them, and how their relationship with both their partners and their children has changed as a result. The exhibition aims to show the effects of gender equality in parenting on both individuals and society. “I use portraits of fathers with their children in everyday situations, and interviews with dads to aim the spotlight on fathers who prioritise the connection to their children and family before their job and career. But the focus is also on the universal and loving aspects of parenting, regardless of whether you are the mother or father”.